A global project aiming to re-institutionalize urban development in a more collaborative, innovative and effective fashion. We Own The City the publication launched 27 May 2014, featuring research in New York, Moscow, Amsterdam, Hong Kong and Taipei, and interviews with architects such as OMA, MVRDV, NEXT Architects and UN Studio. 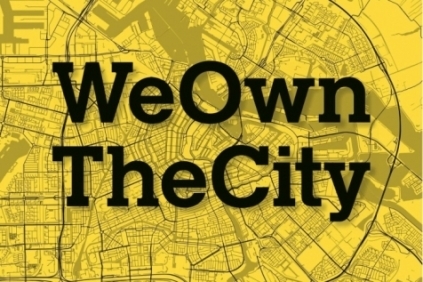 WeOwnTheCity was born in 2011, when CITIES collaborated with ARCAM, the Amsterdam Center of Architecture, in order to show the results of a joint investigation into the development of bottom-up initiatives and their relationships with the urban development history of the city. After that first experience, CITIES collaborated with the Community Project Workshop (CPW), in the Faculty of Architecture of the University of Hong Kong, to showcase community practices through an exhibition also called WeOwnTheCity. CITIES was invited to speak during the symposium that launched the exhibition, which included presentations from scholars and planning representatives as well as the Asian offices of Dutch architecture firms OMA, MVRDV and UN Studio. During this symposium, CITIES and CPW set a new ambition for WeOwnTheCity: understanding how traditionally ‘top-down’ players are changing their working processes to adapt to the current system in which a more active urban population is setting new rules and standards form the bottom-up. From March till July 2013, CITIES developed a comparative research design and created a consortium of partnering local organizations to support the development of this research/book. This process was supported by Hong Kong University, who is the co-editor in collaboration with CITIES Foundation. From October 2013 on, The Creative Industry Fund, based in Holland, granted the expansion of this research to a global scale. Design Trust from Public Space from New York, Strelka Institute from Moscow, and the Community Empowerment Center of Taipei became involved in contributing to an expanded network of supporting organizations advancing this research on bottom-up development. Together, a network of researchers, contributors, organizations and participating case-studies came together to make a publication possible. We Own The City is a book about "how traditional top-down players are enabling the civil society to be part of the urban development game". The book features 5 cities: Amsterdam, Hong Kong, Moscow, New York and Taipei. It also features four interviews with architects from OMA, MVRDV, UNStudio and Next Architects. Conclusions are a collection of suggestions for urban development actors. 'We Own The City: Enabling Community Practice in Architecture and Urban Planning' launched first in Amsterdam May 2014. The book is now available on Amazon and directly from the publisher, Trancity Valiz (http://www.trancity.nl/). The book's research received support from the Dutch Creative Industry Fund, and publishing from the University of Hong Kong’s University Press with co-publishing from Trancity. FOODLOGICA brings sustainability to food transportation – it is about using local food as a tool for urban development.